What did people do before digital cameras or even photography? Back in the 1400’s, they used to make tapestries, a form of art using textiles woven on a wooden device called a loom. Derived from French, tapestry means “to cover with heavy fabric.” The subjects of tapestries included everything from religious works to landscapes. However, with modern art taking so many different approaches, the art of tapestry can be left out. Using the internet itself as a means of sharing art, there are loads of tapestry artisans still out there with an entirely new way of sharing their work. To see the best of this form of art, we have gathered the top 50 tapestry blogs. They include group works, individual, and even a few entries from tapestry makers in other countries. Two or more bloggers share their tapestry works below. Stop here for the official blog of the Weave Zine. Syne Mitchell goes beyond the publication to bring you the latest thoughts on tapestries and weaving. Be sure not to miss the main site with much more. This is an a wall decor store specializing in wall art, canvas art, wall hanging tapestries, tapestry throws, and tapestry rods and accessories. In business since 1998, they recently opened to the public and have loads more on tapestries on the blog. Check out for how to guides, including videos. This is a non-profit cultural organization dedicated to integrating creativity and harmony through the creation, exhibition, and teaching of tapestry weaving and textile arts. The name Moon Rain refers to the mystical connection between the moon, weaving, and the cosmos. Get their latest works and happenings with a visit to the blog. They specialize in weaving ideas into design. Andrea Larson Schultz is the creative director and owner of Visual Tapestry Design, which specializes in all sorts of images. Check out the latest with a visit to the blog. All weavers, including those of tapestries, are welcome in this blog. They have information on boards, reps, a bulletin board, and more. Be sure not to miss the journal and other useful resources. Visit here for the blog for the Tapestry Weavers in New England. They take inspiration from unicorn tapestries, Navajo rugs, and many others. Check out for the latest or links to member bogs. If you haven’t seen enough tapestries, click here. The ATA has loads of pages where artists come to share their works. Visit to learn more or add your own. These individuals often specialize in tapestries of their own in the below blogs. Visit here for the blog of Tommye McClure Scanlin. She is an artist, teacher, and tapestry specialist living in Georgia. The blog is a stand out for featuring tips from an actual tapestry teacher, along with many pictures, guides, and more. After being inspired by the colorful tapestry crocheted shoulder bags from Guatemala, Carol Ventura was inspired to make creations of her own. She now teaches art history at Tennessee Technological University. Check out her blog to learn more about how she explores the design potential of the technique, developed a system of diagramming patterns, and created a variety of flat and three-dimensional projects. She has been weaving tapestry for over 20 years and raising a family in the lovely Southwest. Her blog strives to show others the trials and tribulations of the creation of art out of a bunch of strings. Donna also highlights the processes of tapestry weaving and its role in the weaving of life. Although Liz has been a weaver for over 25 years, she only recently discovered the joy of tapestry. The blog is named after her “little shack of creativity.” Liz also includes her latest works and how they came to be. OzWeaver learned to knit from her grandmother when she was eight years old. She is now a member of the American Tapestry Alliance, Complex Weavers, Online Guild of Weavers, and others. Check out here blog to see her latest works, thoughts, and more. She specializes in Jacquard works in addition to hand woven tapestries. She founded LFN Textiles Artists Ribbons in 2002 and has been disturbing them ever since. Her latest works are often discussed on the blog. In August 2009, this blogger cleared a desk at ANU Textiles and departed for six months leave from teaching to work in a studio. The goal was to develop a new body of creative work, and this blog documents the explorations and developments as a diary of progress. She also visits exhibitions and gives a pro’s opinion. See how tapestry is done overseas in these blogs. She is an artist living in the beautiful Grampians region of Victoria Australia. On the blog, she shares collective tapestry works as well as individual thoughts. One of the latest entries was on the many colors of one plant. She brings both tapestry and weaving to you from Errington, British Columbia. After working for many years on multi-harness looms, Elaine is currently choosing up-right, two harness tapestry looms as her choice of expression. Check out her latest works and thoughts with a visit to the blog. Get tapestry inspirations from many different countries here. She was first inspired by the skies of India but has grown to include Japan, Australia, and others. Recent posts are on hope and her favorite things. Line Dufour teaches weaving with the Toronto District School Board in the continuing education department. She is a graduate of the Ontario College of Art and Design and from the University of Toronto Faculty of Education. Check out her blog for quotes, inspiration, and useful tips on learning to weave. Stop here for the blog of a tapestry artist from New Zealand. She includes many images of her own work, in addition to must see photos of her native land. Get the double whammy of an Irish tapestry weaver living in the South of France here. In addition to what she is working on, you can get loads of other tapestry and art related thoughts on the blog. One of the latest was on the past, present, and future. Vera Hazelgrove is a tapestry designer and weaver from Adelaide, South Australia. She also enjoys knitting, crocheting, and painting. Get works in progress both inside and outside her studio with a visit. Get a view of Portuguese tapestries with a visit here. Tita often includes her own works which currently include peace, passages, and children. Although the blog is named after the year it began, there are still current entries. There are loads of posts and links pertaining to tapestry in their native Australia. You can also find exhibit information. Tapestry and weaving combine in the below blogs. Stop here for the blog of a weaver, designer, and lover of fiber. For over 25 years, this artist has shared their work and does so on a global scale now through blogging. The tapestry journal as video is not to be missed. Get tapestry weaving and “other stuff” with a visit to this blog. In addition to tapestries, Jan also weaves, paints, plays piano, and even gardens on a hill next to the Atlantic Ocean. A good stop for those who want to branch out of tapestries. Get weaving information and updates from Stephenie Collin here. She shows loads of her works, many from years ago that are worth noting. There are also useful tips for making your own tapestries. Nicki believes a tapestry cannot be rushed and takes time to come into being. If you are interested in learning how tapestries are designed, woven, and finished, this is the blog for you. She is currently writing about supplies used in tapestry. A graduate of Washington State University, Shelley has been weaving since 1975. She hopes to share her weavings with others here. With many blog entries doing just that, subjects of works include everything from log cabins to the Jemex Mountains. Ringadal loves working with fiber. Works of art usually emerge as quilts, knitting, and tapestries. She recently framed a new work and writes all about it. Alice Schlein has been a self taught weaver for the past 40 years. She weaves from South Carolina on a 40-shaft AVL dobby loom and a TC-1 (jacquard). She also offers books and classes for student weavers. This blogger is a weaver, artist, teacher, and baker. Get entries on all of the above and more with a visit. One of the latest was on Mexican wedding cookies. These tapestry blogs fall into a category of their own. She is a tapestry weaver, dreamer, writer, tapestry list mistress, instructor, and more. Her tapestries consist of small format work, or less than 15 square inches. One of her most recent works was a stunning sunset. Just starting out on tapestry art? So is Erica of Santa Clara, California. She chronicles her budding tapestry weaving journey, along with stories of working as a Barista and bellydancing. K. Spoering is a weaver, designer, and wrestler of life. Check out her blog to see her latest work of art, often in tapestry form. She is also a great lover of comments and welcomes them all. She is a part time artist, full time curator, girl about town, vodka appreciator, and general culture consumer. In addition to making great martinis, she is also a creator of tapestries. Get tips for it all with a visit to the blog. She spent her time as a teacher and librarian in high schools and colleges. She is now an artist working in all sorts of mediums including stained glass, photography, painting, and tapestry weaving. Her latest work is usually the topic of blog posts. Because many tapestry artists work with textiles, there is this blog. It contains information on style, trends, and innovation. Categories range from apparel textile trends to Zen Zulu. Does tapestry art sound too intimidating for you? Then check out his blog which strives to create fun and approachable projects for you to knit, crochet, sew, stich, and more. The latest was on a mini-quilt. Susan Leschke uses this as a place to share textiles, art, and sprit. Many artistic ventures are shared on the blog. One of the most recent was a dual project with a friend. 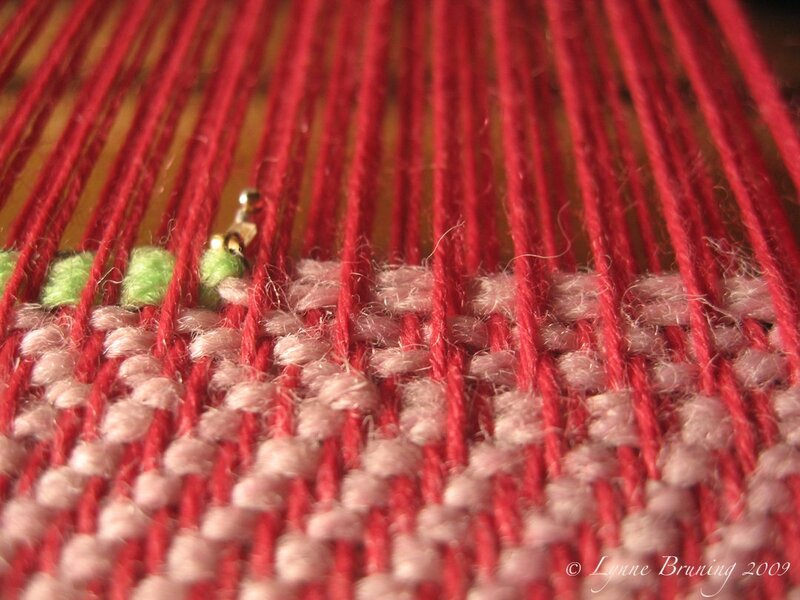 An important part of making tapestries, this blog is all about the loom. Sandra Rude is a professional weaver who specializes in complex weaves using fine threads. The blog includes loads of tips for working on a loom of your own. Similar to the above, this is a blog all about the loom. The Tuesday Weavers are from Tennessee and share works and knowledge here. See both group and individual works with a visit. Another important part of tapestry making, learn more about sewing in the below blogs. Debbie Colgrove started sewing when she was eight years old and took her first tailoring class at the age of thirteen. She hopes to show others how to save a fortune on home décor, clothes, and much more. Must reads of the blog include a Sewing 101 and troubleshooting with machines. Wendy Kaufman has a degree in apparel design from UMCP. She has worked as a costumer and currently teaches sewing to others. However, you don’t have to live in the area to take advantage of the useful tips and thoughts found in the blog. You don’t have to decide which to read about on this blog. Heather brings you both in addition to how being busy makes her happy. You can also get loads of tips for everything from which tools to use to how to finish. She began stitching in 1978 and specializes in using “smalls.” Beads and ribbons are also includes in Anita’s authentic Texas works. A recent entry was on three of her new finishes. Lelia seeks inspiration, creativity, and shares both on her blog. Quilting, sewing, and other related topics are also discussed. The latest was on roll ups. Those who know nothing about cross stitching, and even those who do, will enjoy this blog by Connie G. Barwick. She has over 30 years’ of cross stitching experience and enjoys teaching others. Check out the blog for entries such as an A to Z of free patterns and how to stitch your very first cross stitch. 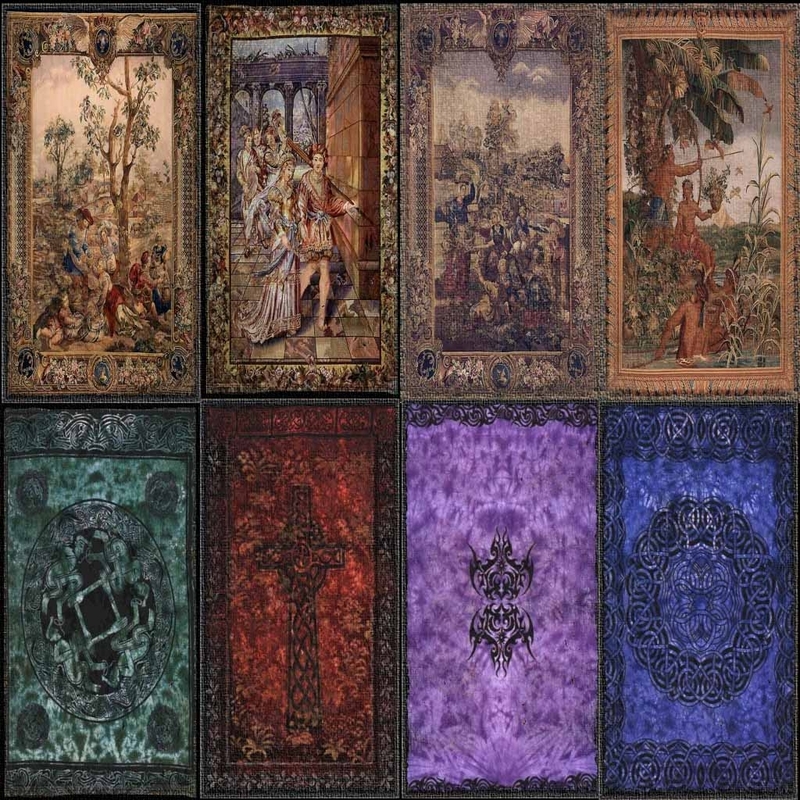 More than just a carpet with pictures on it, tapestries have been around for hundreds of years, have enjoyed a rich history, an unwritten future, and loads of present entries that are worth a look. Stop by the above top 50 tapestry blogs to see the latest and even purchase or make one of your very own.